Welcome to the Pink Petals Kitten Page! Pink Petals kittens have the full enjoyment of being raised under foot, always indoors and never caged. Three to four litters are raised annually. 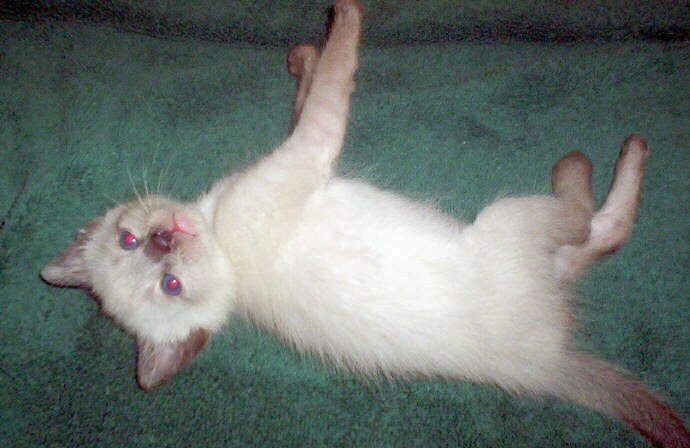 Last Litter: May 17, 2004. Four little boys! My best advice to any novice breeder is never be afraid to ask questions and learn from other breeders. They know their stuff. 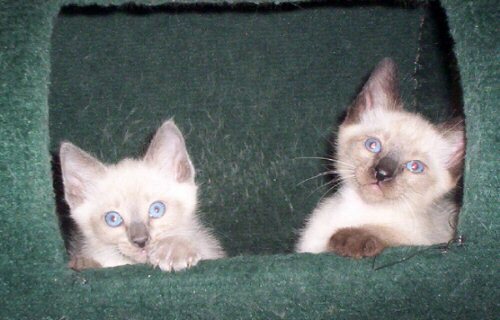 To a cat fancier, who is not a breeder I would suggest making sure to study the breeds they are looking at before deciding, because they all have different personalities. (Of course, I think mine is the best!). 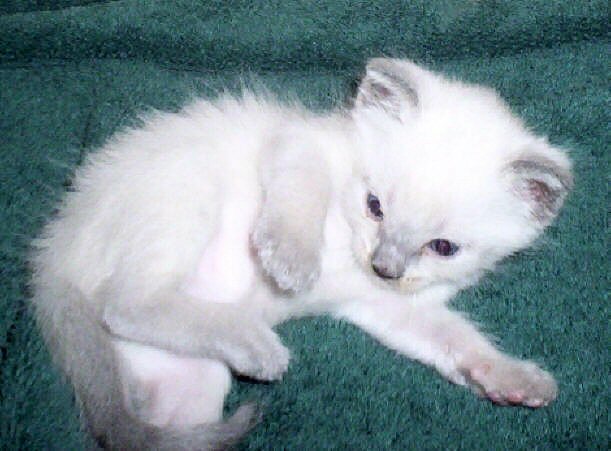 If there's one thing that breaks my heart is all the feral cats that don't have good homes.. so I'm dedicated to making sure that the kittens I provide go to good, solid, loving homes. 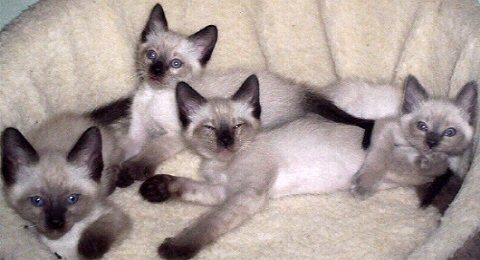 The Siamese breed is incredibly unique, and it takes the right kind of person to have a cat like them. They're very vocal, affectionate, and need your attention. I do make sure my prospective owners are aware of the commitment they make when owning this breed.